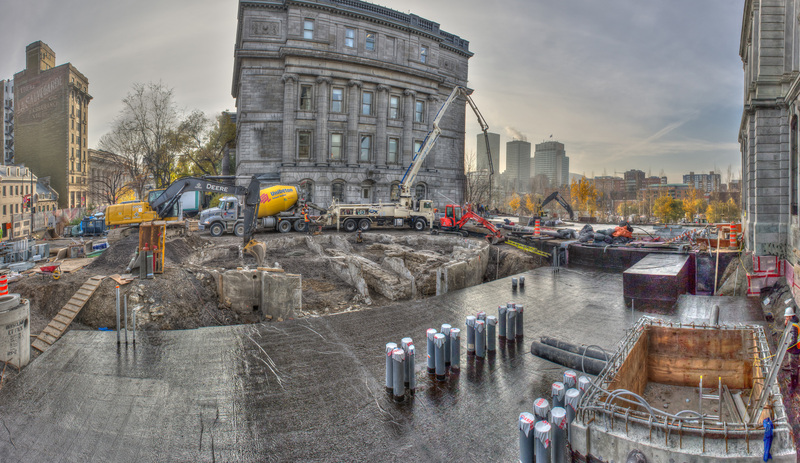 Place Vauquelin in Old Montreal’s administrative district had fallen into disrepair. 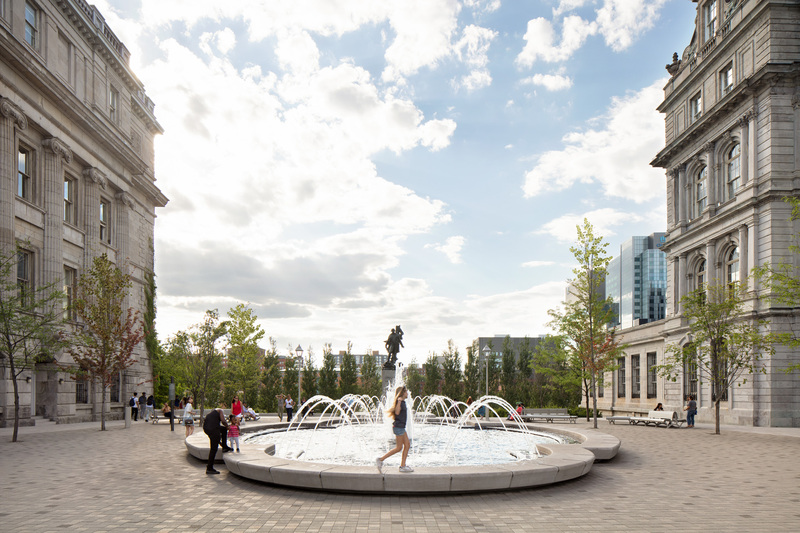 The aim was to restore its sense of place and maximize natural and historic features according to the district’s master plan. 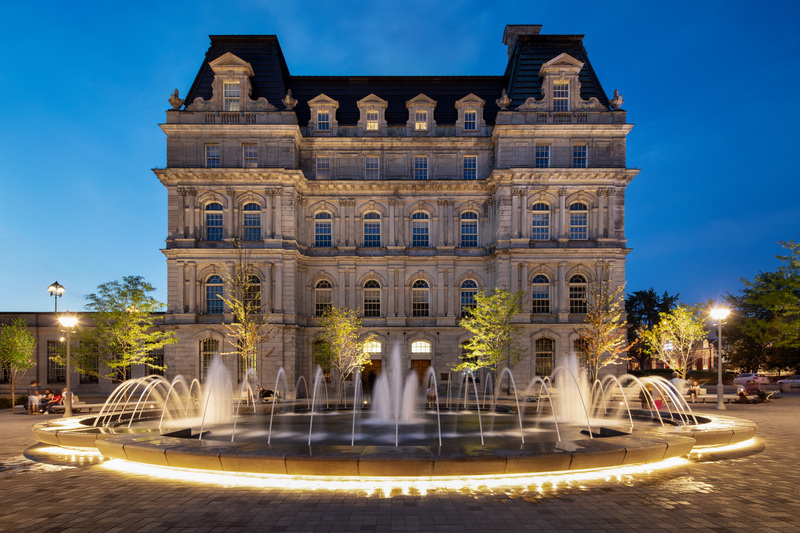 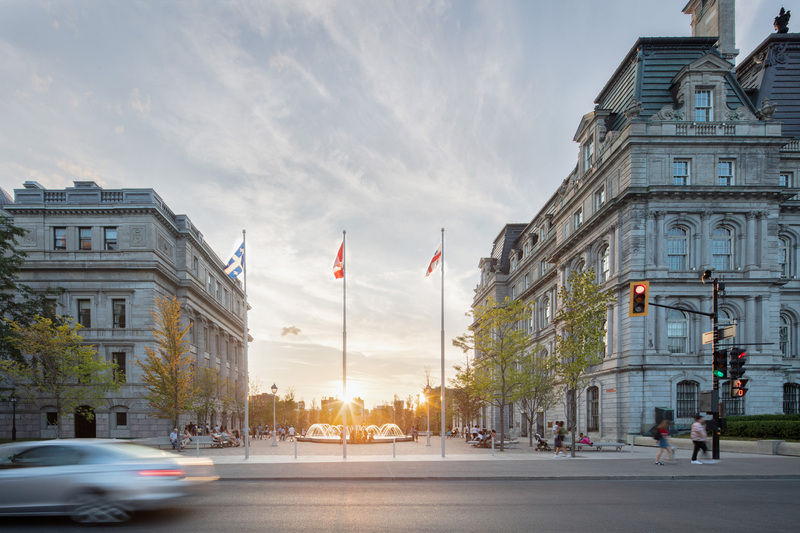 Strategies included accentuating monumental facades, introducing a forecourt for City Hall, showcasing wall remnants from the first courthouse and prison, and emphasizing the square’s belvedere characteristics. 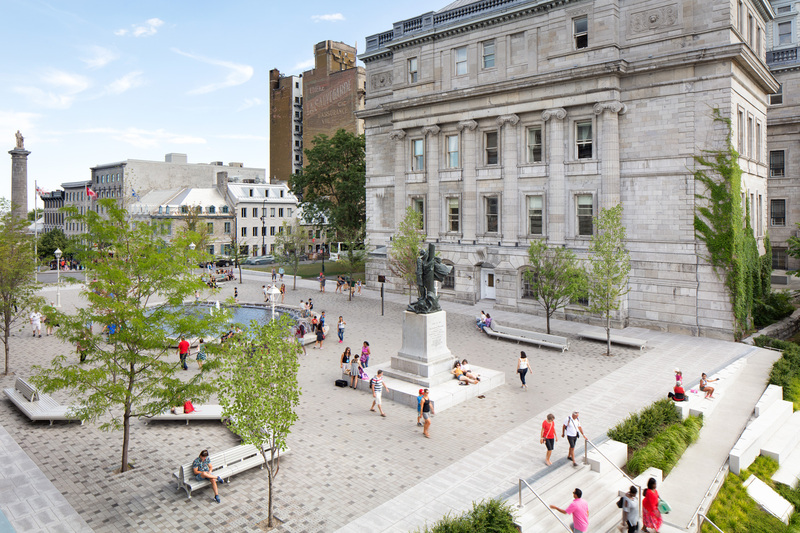 The project added street furniture, vegetation, and open spaces, and took accessibility to a new level with heated paving and an integrated staircase and ramp.